Feb. 8, 2018: Montreal, Quebec: Electron Metal Expands Facilities in Laval plant and has added more shifts. 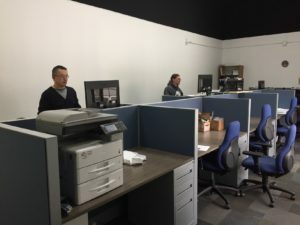 With recent sales wins and double-digit growth, this privately held manufacturer of metal cabinets, racks and other custom enclosures is expanding at a rapid rate. They plan to hire more qualified employees for additional shifts and continue structural expansions to support the influx of orders.